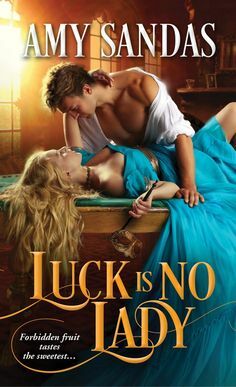 What's a lady to do when the pirate husband she thought was dead tries to lure her back into his arms and away from the safe, quiet life she had all planned out? This humorous, fast-paced Regency-set novel is the third book in Jennifer Ashley's "Pirate" series. I thoroughly enjoyed reading this book, from the moment that I picked this up and looked at the cover I knew I was going to enjoy reading The Care And Feeding of Pirates I haven’t had the chance to read many books from Jennifer Ashley but I have read the other books in the series in the past, and definitely looked forward to Honoria’s story. It starts out with Honoria imagining or thinking that she is imagining seeing her dead husband, Christopher Raine, who was hanged for pirating. Four years previous, they spent one night together; ironically the night before he was to be hanged and was married before she thought he had died. Honoria desperately loved Christopher and a part of her died with him that day. To the present day, no one knows of her marriage to Christopher apart from herself and she intends to keep it that way. Until someone she leasts expects to show up in her life. She is currently engaged to a respectable man, and although she knows she will never love or care for him as she had Christopher she knows she needs to get married. However, Christopher shows up in her bedroom, upon which she demands answers from him. The main question was how could he be alive after all these years? Before she gets her answer though, her sister-n-law interrupts and is shocked to find that a woman she considers a sister is actually married to a man her husband and Honoria’s brothers despises and is his enemy. Christopher is on a search hunt for his sister whom he hasn’t been able to find for years; but thinks he is close to finding her. Christopher takes Honoria along with him on the search. Once they find her however, Honoria is duty bound to stay by her husband’s side. Although she knows the pain is too great to love him, the passion builds up between them again that is far too great to resist. I found this to be a story that I could laugh and cry and just let out a frustrating sigh with this pair: Christopher and Honoria. Despite their desire for one another, Christopher loves to order Honoria about and Honoria of course doesn’t tolerate it well. Honoria does everything she can to purely irritate him at first so he will want to get rid of her. Honoria knew she could never truly live with a man she could never love. So Christopher goes about his own alpha male way to show her true love once more. There were a few minor things that I disliked about the book, such as the way the dialogue was. It just seemed to me to be so similar between Christopher and Honoria; very similiar scenes for the most part. However, this is such a truly adventurous read with witty come backs, passionate desire that will fog up the windows, and a adventure that will take you across great distances. I fell in love with both of the characters as well as secondary characters. Jennifer Ashley has truly written a magical story that will enter into your heart, and take you back in time with pirates, and hunting for treasure and a true love that conquers all! Its definitely one I wouldn’t want to miss out on reading!